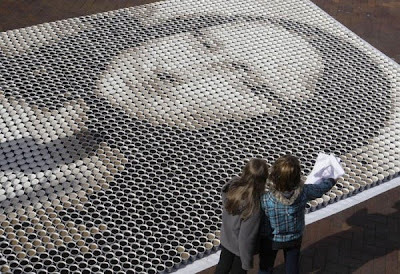 This incredible coffee masterpiece measures 20 feet high and 13 feet wide, took 8 people and three hours to complete using 3,604 cups of coffee and 564 pints of milk. 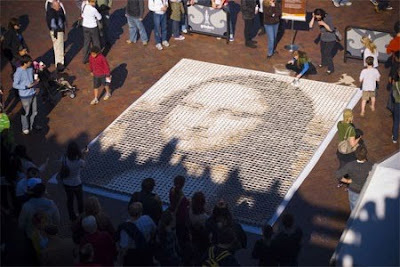 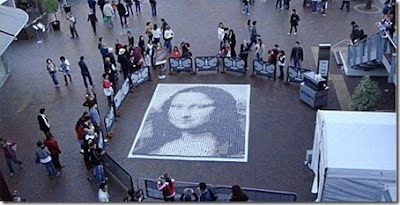 This replica of Leonardo Da Vinci's La Gioconda was created for The Rocks Aroma Festival in Sydney, Australia, which attracted 130,000 people in just one day. 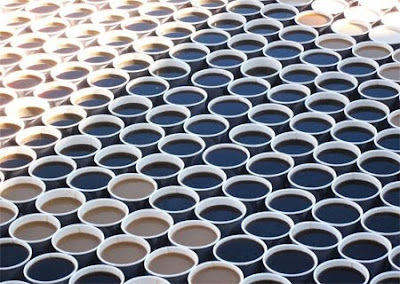 It was created by adding various amounts of milk to the cups of black coffee. 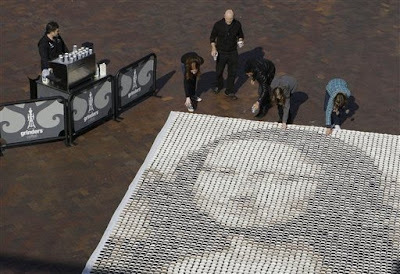 "Each coffee cup was filled with varying amounts of milk to create the different sepia shades of the painting."